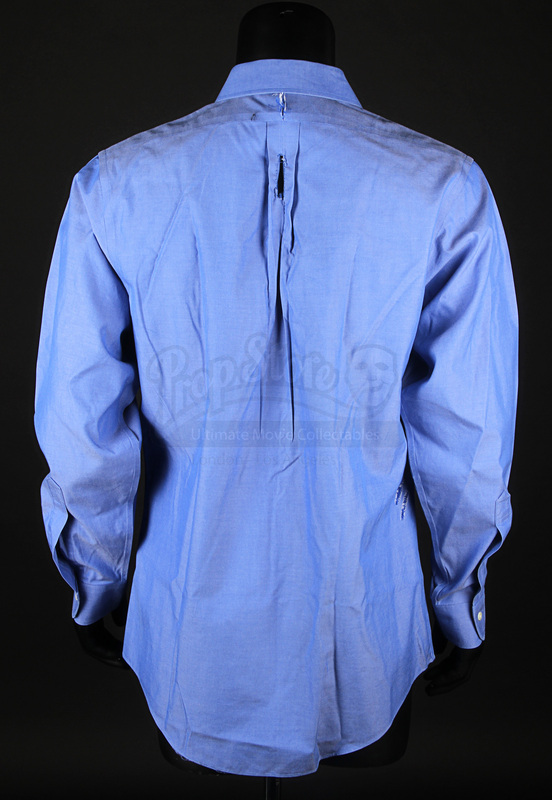 A shirt worn by Nick Cassidy (Sam Worthington) in the production of the Asger Leth’s 2012 crime thriller Man on a Ledge. 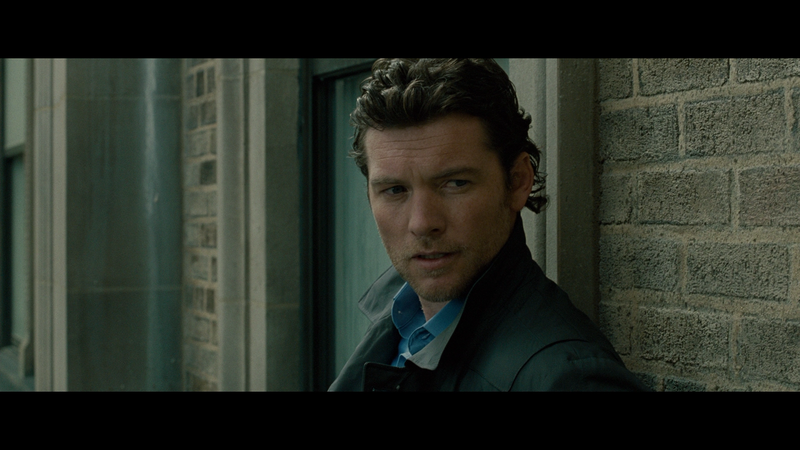 Framed for the theft of a priceless diamond, ex-cop Nick Cassidy (Sam Worthington) steps onto a ledge in New York’s Roosevelt Hotel, eager to speak to police negotiator Lydia Mercer (Elizabeth Banks) – not revealing that a plot is under way to prove his innocence publicly, once and for all. 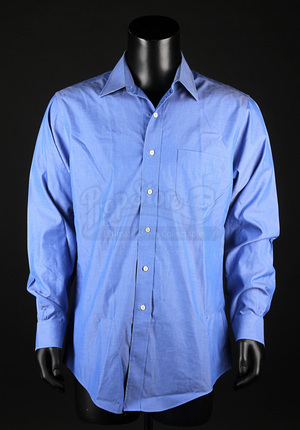 This shirt and others like it were worn by Worthington in the role of Cassidy once he is on the ledge. 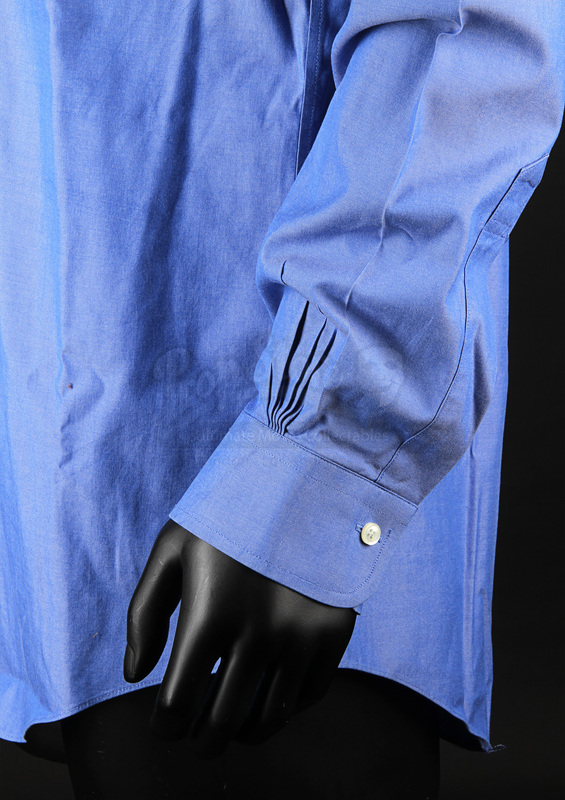 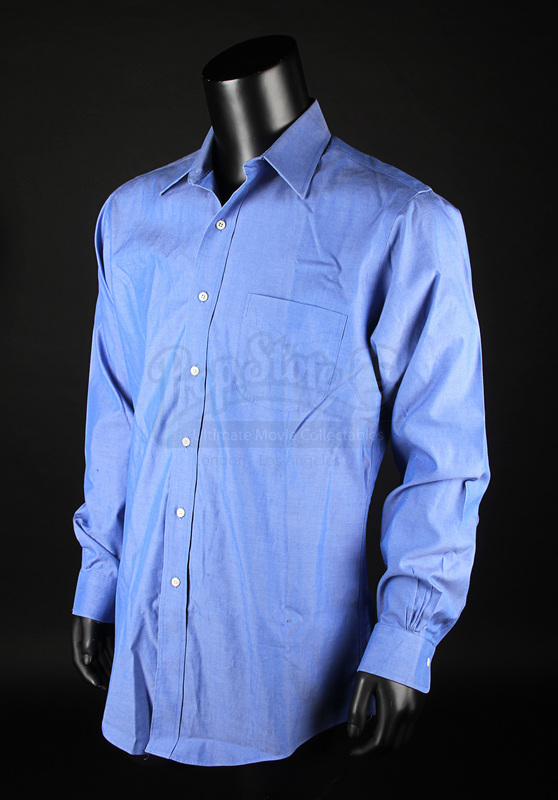 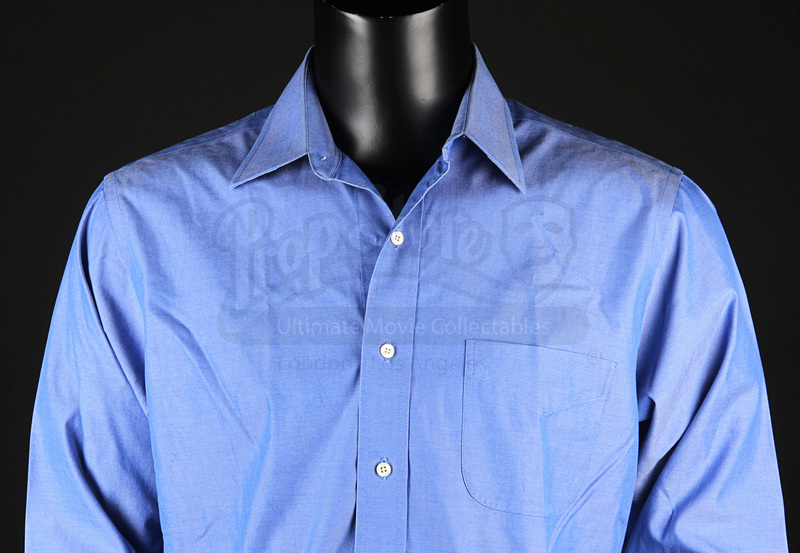 Made of blue cotton, the shirt features white buttons on the cuffs and down the front, with a single pocket on the left breast. 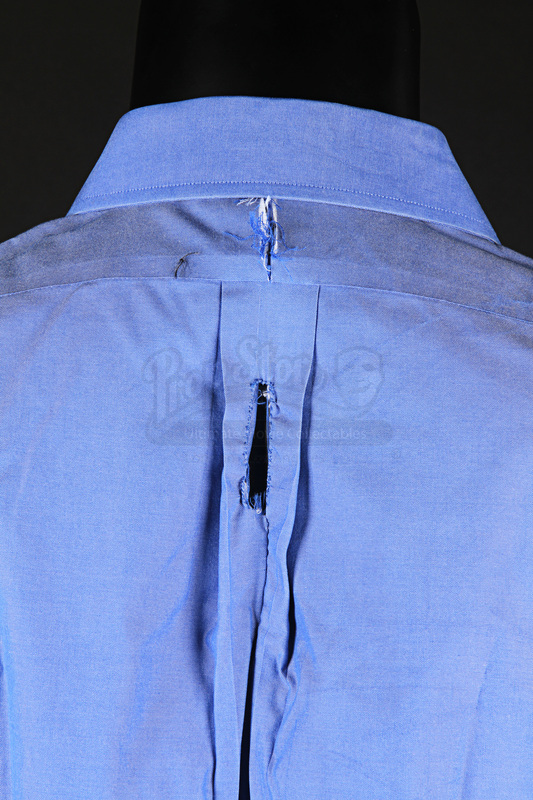 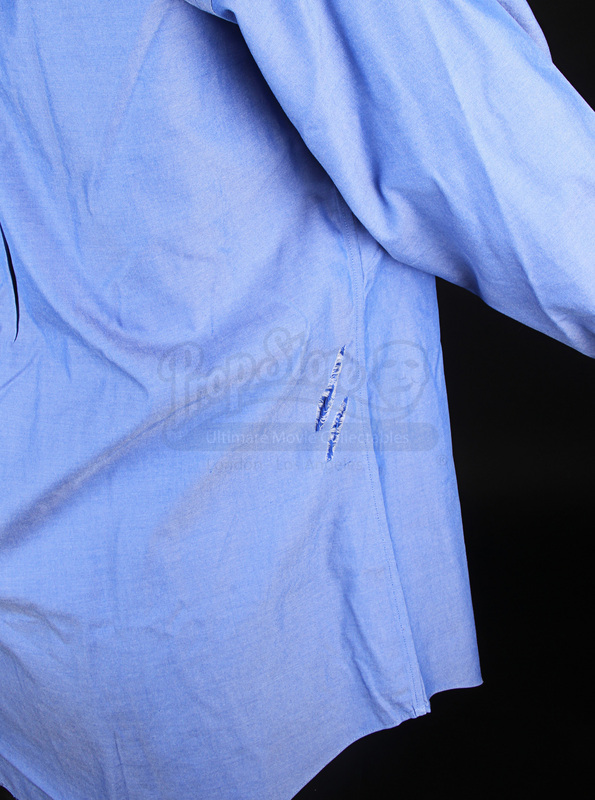 Two holes are present in the rear of the shirt for the use of a safety harness. 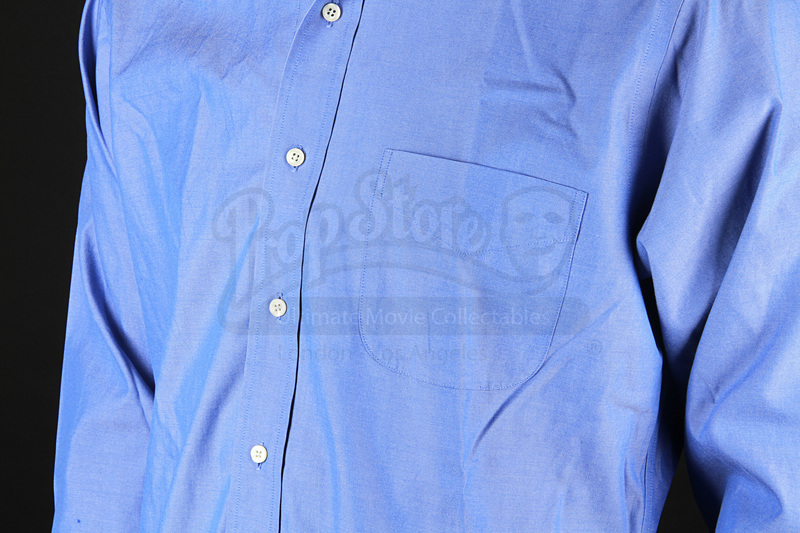 Lightly distressed with some minor wear from its use in the film’s ledge sequences, the piece remains in overall very good condition.